Mr. Voje currently serves as the Chief Information Security Officer for The University of Texas –Pan American, where he is developing an Information Security program and Privacy practice for one of the nation’s largest Hispanic serving institutions of higher education. As former Naval Officer, Mr. Voje, served in many roles related to cyber security and information assurance for the U.S. Navy. 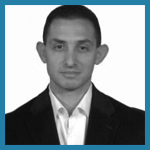 Mr. Gomez-Sanchez has over 16 years of Information Security experience. He has focused his entire professional life to pursue excellence in the field of Information Security. 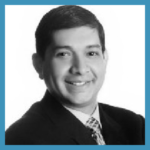 Juan Gomez-Sanchez, has been tasked throughout his career with building and managing world-class, enterprise security organizations. 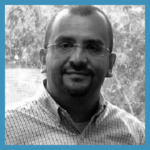 His keen perspective of security as a business enabler has allowed Juan to deliver high performance solutions and organization to address large and complex security challenges. He has led such initiatives in organizations like Delta AirLines, CheckFree Corporation (now and division of Fiserv) and Cybertrust (now Verizon Business). Zachery S. Mitcham, MSA is the Chief Information Security and Compliance Officer at North Carolina Central University, where he plays a significant role in the strategic planning and policy development for information technology security programs. Zachery has over 38 years of combined practical experience working in the field of operations and information systems security with the, University of North Carolina Wilmington, New Hanover Regional Medical Center, State of North Carolina University System, and the Department of Defense which included accrediting sensitive compartmentalized Information facilities within the Central Region of Europe. Specifically, V Corps Headquarters. He is a 20 year veteran of the United States Army where he retired as a Major. He earned his BBA in Business Administration from Mercer University-Eugene W. Stetson School of Business and Economics. He also earned an MSA in Administration from Central Michigan University. Zachery graduated from the United States Army School of Information Technology where he earned a diploma with a concentration in systems automation. He completed a graduate studies professional development program earning a Strategic Management Graduate Certificate at Harvard University extension school. Mr. Mitcham holds several computer security certificates from various institutions of higher education to include Stanford, Villanova, Carnegie-Mellon Universities, and the University of Central Florida. He is certified as a Chief Information Security Officer by the EC-Council and a Certified Computer Security Incident Handler from the Software Engineering Institute at Carnegie Mellon University. Zachery received his Information Systems Security Management credentials as an Information Systems Security Officer from the Department of Defense Intelligence Information Systems Accreditations Course in Kaiserslautern, Germany. He serves his community by providing weekly spiritual education to the incarcerated and serving on the New Hanover County Board of Health. Zachery is married to the former Angela Thompson, University of Tennessee graduate with two children. A daughter Gracian Williamson, University of Tennessee graduate with an MBA in management, 2 granddaughters Grace and Faith and a son, Emmanuel, University of Pennsylvania graduate. He credits all of his success in life to his faith and trust in Jesus Christ. Jerry Chappee is the Chief of Threat and Vulnerability for US STRATEGIC Command and is a Lieutenant Colonel in the US Army. 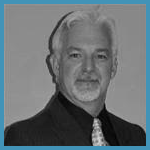 He has been involved with information security for over 20 years and has held a number of CISO, CTO and CIO positions. He has over a dozen technology certs from Cisco and Microsoft and has the CISSP, Army penetration testing and forensics certifications and NSA IAM/IEM certifications. Jerry also has an MBA in Technology Management. He has given hundreds of seminars and classes on Ethical Hacking and Cyber Defense, Attack and Exploitation focusing on Wireless Attacks, Wireless Security, TCP/IP Security, Windows security, Intrusion detection, Firewalls, Network Security, Operating System hardening, VPN’s and Security policies and Auditing requirements for HIPPA and DOD. Mr. Rayle is a Security professional with over 20 years of direct experience in security sales, consulting, management and leadership. He is currently a security strategist for technologies and processes. A key part of his job role is the translation of security drivers into business support programs. The creation of security strategies, communication of program value to the business, and integration of board level security concerns to operational portfolio activities are key strengths. 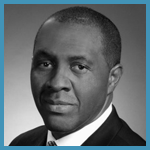 He has been a member of the Global PCI Council, a Managing Consultant with IBM as well as an Associate Partner. He has also provided executive advisory services for various industries and has a wide range of regulatory experience that includes PCI, SOX, FFIEC/FIDC, HIPAA and NERC CIP. Mr. Rayle regularly presents at summits and industry trade shows, and assists in writing industry certification exams. 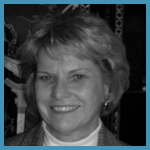 Lois Boliek is the global manager for the HP Technology Consulting IT Assurance Program. The goal of IT Assurance is to integrate security across all service portfolios and advanced solutions. The focus is to “assure” security is architected into all client solutions and offer security-enabling services as a competitive differentiator for HP Technology Consulting. 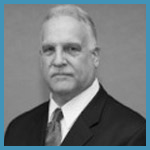 Boliek has a proven track record as well as field experience in security practice leadership, sales support and portfolio development. A highly innovative and proven cyber executive and technologist with over 25 years of focused and very successful experience in Cyber Security/Defense, Continuity/Recovery of Operations and Information Governance. Extensive professional experience with public and private organizations at all levels of scale. Develops, implements and directs highly successful security, cloud and governance programs. Designs and implements both strategic and tactical information security architectures and best practices for organizations with a wide variety of risk postures in complex and distributed environments. Highly skilled at crafting global strategy development and organizational analysis for secure and recoverable enterprise and global network designs based on traditional and cloud based topologies. Served with distinction, two sitting Presidents of the United States, two Chairmen of the Joint Chiefs of Staff and the Chief Justice of the United States. 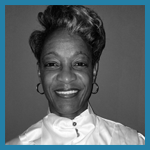 Ms. Lambuth has over 35 years’ experience in Information Technology (IT), networks, application development, information security, cyber security, privacy, cloud services, risk management, compliance, Certification and Accreditation (C&A), Information Assurance (IA), and other security or privacy assessments. She is a Subject Matter Expert (SME) in security authorization and regulatory compliance including NIST, FedRAMP and international regulations and her certifications include CISSP, ISSMP, CAP, CIPP/US, CIPP/G, NSA-IAM, NSA-IEM, C|CISO, CIPM. She designed and implemented the first cybercast from the White House and led an award-winning team of the Hammer Award for Excellence from Vice President Al Gore. 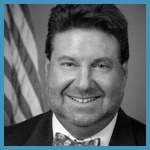 Ron Baklarz has over twenty years in the Information Security field developing “first-of-a-kind” information security programs within government, military, and private sector organizations including the Naval Nuclear Program, U.S. House of Representatives, Prudential Insurance Company, MedStar Health, and Amtrak. 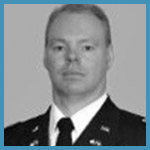 Ron is currently the Chief Information Security Officer at Amtrak and he has held various information security consulting, technical, and operational positions throughout his career. As Senior Director Carlson WagonLit Travel ( CWT) Military and Government organization this position requires cross functional support across multiple operational domains. Responsible for managing and overseeing security compliance and the overall security program for Civilian and Military Government Travel ($2.9 Billion) in which our business supports. This program is based on ISO 17799, with particular emphasis on Payment Card industry requirements (PCI). The security program framework includes management of Technical, Management and Operational controls under the guidelines of the Office of Management and Budget (OMB), National Institute of Standards and Technology (NIST), Federal Information Security Management Act of 2002 (FISMA) and the Federal Information Processing standard (FIPS) requirements. Responsibilities includes policy enforcement, conducting Security Awareness Training, Incident response and reporting, Intrusion and Vulnerability assessments, Risk and System Security management, personnel security background Investigations processing, Continuous monitoring and Contingency and Disaster planning. A Senior Security Management professional with an extensive background in Network and Information Security, Data Privacy, Fraud Management, Technical Investigations, Regulatory Compliance and Policy Development, Litigation Preparedness, Enterprise Governance, Risk Management, Computer Forensics and Application Security Threats and Countermeasures. He has 12 years of Law Enforcement experience obtained directly from the Boston Police Department and over 20 years of combined experience in Computer Forensics and Technology which includes conducting electronic evidence discovery investigations and litigation support for matters related to Internal Fraud, Intellectual Property Theft, Embezzlement, SEC issues, and Network Intrusions. Charles L. (Chuck) McGann, Jr., is an information security professional at CRGT, a government contractor providing IT and Security services to DOD, Army, USPS, VA among other agencies. In his current role, McGann is working to leverage CRGT capabilities among the Federal Civilian agencies as well as review emerging vendors for possible partnerships for increasing agency support needs. His experience is helping solidify the strategic initiatives roadmap for Cyber and Intel Solutions. Chuck is the former Corporate Information Security Officer for the United States Postal Service (USPS). In this capacity, he had the responsibility of securing an intranet that is one of the largest maintained by any organization in the world, with over 200,000 workstations; over 45,000 retail terminals; more than 16,000 servers and over 220,000 Mobil Delivery Devices. The USPS infrastructure encompasses over 600 business applications that support all aspects of business operations as well as movement of the mail. In his 27 years with the Postal Service, Chuck held numerous positions, Including: Manager, Information Systems, Acting Postmaster, Business Systems Analyst, Business Project Leader, Distributed Systems Security Specialist, Manager, Information Security and Incident Response Team Manager. Chuck holds an MBA from Strayer University, a Bachelor’s degree from the University of Massachusetts, and two Associate’s degrees from Springfield Technical Community College. He is a certified information systems security professional (CISSP), a certified information security manager (CISM) and holds a certification for information assurance methodology (IAM) from the National Security Agency (NSA). 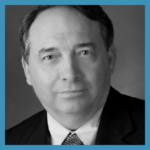 He is the former Co-Chair of the (ISC)2 Government Advisory Board on Cyber Security, and served as a Government Information Security Leadership Awards Judge for the last three years and chaired the Federal CISO for CISO’s quarterly meetings. He is also a member of the Symantec Government Education Advisory Board, the RedSeal Customer Advisory Board, Over his distinguished career has received numerous awards and recognition. He belongs to various national, regional, and local organizations such as the Government Technology Research Alliances’ group, FBI InfraGard, National Security Agency (NSA), and Information System Audit and Control Association (ISACA) to name a few. Jim Rutt, CISSP, CISM, CISA, CGEIT, CRISC, C|CISO, CCSK, is the Chief Information Officer at the Dana Foundation. His responsibilities include providing strategic planning for information and technology management and overseeing all back office technology operations necessary to support the Foundation. Jim is an early adopter of cutting edge cloud security solutions, having led Dana through a complete cloud transformation three years ago. Jim has frequently spoken to peer organizations on corporate cybersecurity strategy and risk management, and also advises early stage technology companies on their sales strategy to the financial and healthcare sector. Jim is a graduate of Stetson University, where he received a B.B.A. degree. He has 22 years of technology experience (spanning financial, healthcare and pharmaceutical sectors) and has been at Dana for nine years. Jim has presented at multiple CIO and leadership conferences and has been quoted in the Wall Street Journal (among other publications) for his view on mobile security and governance. Jim is President and Chairman of the Board of Technology Affinity Group (TAG) and is Vice President and Board Director for the New York Metro Chapter of the Cloud Security Alliance, and is a member of CIO4Good, as well as a founding advisory board member of BWG Strategy LLC, a Work-Bench Venture Capital Mentor/Advisor, advisor to Lightspeed Ventures, a Silicon Venture capital company, and board advisor to multiple startups including Baffle, Axonius, Minerva Labs and Pixm. Chris Mandelaris is the Chief Information Security Officer of Elevations Credit Union responsible for Information Assurance, Privacy, IT Risk for the organization. Mandelaris was most recently with Chemical Bank as Managing Director, Chief Information Security & Privacy Officer. 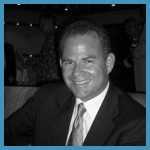 He has over 18 combined years’ experience in IT and Information Security. He received his Bachelor of Science from Central Michigan University and Master’s Degree Information Technology – Walsh College of Business. Mandelaris is a passionate, driven and continuous learner in information technology and Information Security earning CCISO, CISM, CISA, CRISC, PMP, ITILv3, Six Sigma, MCSA, MCP, CNA, Network+, A+ certifications and CISSP certification pending 2019 exam. Previous to Elevations Credit Union, Mandelaris was the Managing Director, Chief Information Security Officer of Chemical Bank. Mandelaris started his career with Ford Motor Credit progressing in increased roles and responsibilities with organizations such as Flagstar Bank, Electronic Arts, Dell, First Tennessee Bank and Bank of America to have the hands on experience and knowledge attaining the Chief Information Security Officer role. 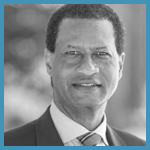 Mandelaris is a certification instructor with local ISACA Chapters for CISA, CRISC certification preparation, an active Executive thought leadership summit speaker/presenter with such groups as Security Current, HMG, Evanta, and Secureworld. Mandelaris is also a Steering committee member of the Midsize Bank Coalition of America and Governing Body member of Evanta, a CEB company and HMG Strategies. Outside of work and the cyber field, Mandelaris is a 7x Ironman and 3x Boston Marathon qualifier/finisher. As the Chief Information Security Officer at AXA Gulf, Bruno Fonseca oversees the areas of Information Security, Business Continuity & Crisis Management and IT Compliance and Risk, and is responsible for 4 countries (UAE, Oman, Qatar, Bahrain). As a Certified CISO and senior Information Security Professional with more than 19 years of experience in the Security and Operational Resiliency fields, he brings tremendous technical leadership and operational expertise to the company. Prior to joining AXA Gulf, Fonseca worked with some of the largest international Telecom and Insurance Groups, leading his teams towards best-in-class technology practices across all platforms and systems. 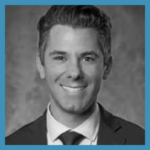 Having started his career in the Military, he gained valuable experience in a variety of fields that has helped him succeed in the corporate landscape. 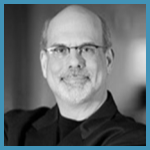 Throughout his career, he has witnessed the steep increase in the complexity of the Information Security world and has worked on the continual improvement of the security practice in mature entities as well as establishing new security practices from scratch. 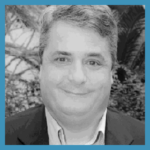 Bruno is an active contributor in the Information Security community, and has been a keynote speaker at several conferences in Europe and the Middle East, on topics including Security breaches, Security trends, etc. He is also known to translate tech jargon into everyday language that is easily understandable by all business units. Ahmed Nabil has more than 18 years of experience in the field of Information Technology/Systems, Infrastructure, Project Management, Information Security, Application development/Automation, IT management and holds several professional IT certifications from Microsoft, CISCO, ISACA, ISC2, PMI, CWNP, PECB and EC- Council. 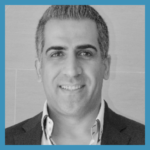 Ahmed is an industry expert in Information Security and Digital Transformation, public speaker at several international conferences and author of several articles published in different international security magazines. Ahmed is currently the IS&T director and Chief Information Security Officer (CISO) at one of the top engineering consulting firms in the MEA region (PGESCo) Leading the Digital transformation Project transforming and automating most of PGESCo work process in a secure fashion to enable business growth and success in a dynamic and mobile environment. Alex Leon is the CISO at Dime Community Bank, a $6 Billion institution located in Brooklyn, New York. 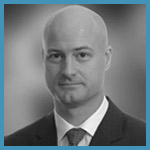 Alex has over 25 years of experience working in the Financial Services industry, including 18 years at Citibank and 4 years at Mitsubishi UFJ Trust and Banking. He has experience working in all 3 Lines of Defense (IT/IS, Risk, Audit). He has some of the most recognized Information Security certifications such as: C|CISO, CISSP, CISM, CISA, CRISC, CGEIT, CBCP, CTPRP and CSX-f. Alex has a Master of Science in IT Management from Colorado Technical University; and has recently earned a CISO Executive Program Certification from Carnegie Mellon University’s Heinz College of Information Systems and Policy. 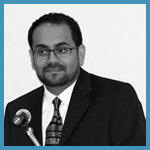 He is a Cybersecurity Advisory Board Member at Rutgers University, New Jersey. Alex is the first CISO at Dime Community Bank and reports directly to the Chief Risk Officer. He briefs the Bank’s Board of Directors at least quarterly. In his free time he shares his knowledge and industry experience with those entering the cybersecurity field. He is a Learning Tree Cybersecurity Instructor and enjoys skydiving during the summer months. Jothi Dugar is a multidimensional executive, business owner, and entrepreneur, whose diverse career has included senior leadership roles in Cybersecurity, IT, Project management, Training, and Engineering. A pioneer in her field, and one of the few leading women across the globe in the Healthcare Cyber Industry, she is a Chief Information Security Officer for the National Institutes of Health located in Bethesda, MD. Her passion is to empower women and young girls to pursue technical & leadership jobs and break the glass ceiling. Jothi is also the Director of a Dance School in Virginia called BollyNatyam Masala, where young girls and boys are taught to express themselves through the performing arts while giving back to community and helping those in need. She also owns a holistic healing practice called, The Power of Healing 360 that helps people learn about and heal themselves naturally minimizing the need for conventional medicine and invasive treatments. Jothi is a dedicated wife and mother of three. Her much anticipated new book, will be out in 2019 called Women Underrated – Breaking through the smog to find your light. 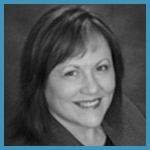 Founder and Chief Executive Officer of Cyber Assurance Consultants, LLC, Michelle Tuggle has served as an Information Technology (IT) / cyber security professional for over 19 years. A graduate of the George Mason University Volgenau School of Engineering, Michelle has developed a unique business model within the disciplines of information security and information assurance. 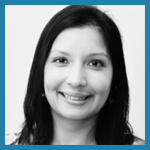 A Certified Chief Information Security Officer (C|CISO) since 2014, Michelle works tirelessly to mentor the next generation “Cyber Guardians” across multiple facets of the industry. Michelle is a proud, 12-year Navy veteran, where she served as a firefighter and later public affairs officer. Her hobbies include: numismatic collection and trade, historical research, travel, holistic fitness and nutrition, and fast cars! Nick is the Chief Information Security Officer (CISO) at Monster, global online employment solution provider, responsible for global information security and fraud prevention. He was most recently the Director of Security & Privacy for Philips HealthSuite digital platform (HSDP); innovative cloud services business enabling all stages of the health continuum, where he was responsible for establishing, executing and continuously improving a global security management and data privacy by design program aligned with business objectives and customer requirements. Prior to joining Philips, he has held Information Security leadership positions at Endurance International Group, a SMB web presence platform solution, and Continuum Managed Services, service delivery technology platform empowering MSPs, where he was Chief Information Security Officer, both where he was primarily focused on establishing a global Information Security Management System (ISMS) that fits the business model and overall company environment. He has also held positions are Pegasystems and Merck Millipore Corp. He is a business focused, process-oriented and technical information security senior leader with over 16 years of experience building and leading global information security teams and programs as a critical business enabler across various industries and hosted cloud services. Focusing on risk and security strategies, assessing and managing risks, regulatory and international data privacy compliance, security architecture and operations, and continuous improvement programs for protecting assets. Nick holds a Masters of Science in Network Security from Capitol College, and a Bachelor of Science in Business Administration – Operations Management \ Management Information Systems from Salem State College. He also holds C|CISO, CISSP-ISSAP, & CISM credentials. 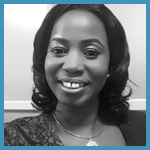 Favour is a graduate of Computer Science (BSc) – Ogun State University, with two (2) Master’s Degrees – MSc Computer Science – UNN and MSc Information Security – University of Liverpool, UK and currently a Doctoral student at the Covenant University, Nigeria. She has over 20 years’ experience in managing all aspects of information technology with vast knowledge in Enterprise IT Security, Information Technology, IT Governance, Information Security best practices, Cyber Security, Business Continuity and Risk Management especially in dynamic, demanding large scale environments. She also holds several certifications in the IT, e.g. Microsoft, Cisco, & Checkpoint, Information Security, Risk Management and Cybersecurity field. She is a Cisco Certified Security Professional, Checkpoint Security Administrator, 1st female COBIT 5 Assessor certified in Africa, Certified Chief Information Security Officer, Certified ISO 27001 Lead Implementer and Lead Auditor and Certified ISO 22301 Lead Auditor. Favour is also the first female in Africa to be a Blockchain Certified Professional. She is a Certified ISO 27001:2013 Lead Implementer Trainer. An Alumni of both Harvard Kennedy School -HKS, Harvard University and Massachusetts Institute of Technology (MIT), USA. She is a member of the Cybercrime Advisory Council in Nigeria with the Mandate of implementing Cybersecurity for all sectors in Nigeria and the pioneer Chair of Standard and Evaluations Committee. Favour has brought global honour and recognition not only to her organization, the country, African continent, but to the entire world as she emerged the 1st woman in the world to win the Global Certified CISO (C|CISO) of the Year 2017 from the EC-Council in USA and currently nominated as part of the C|CISO Advisory Board. Her diverse background in Information Technology, Enterprise Information Security and Cybersecurity has made her be outstanding in resolving complex Information Technology, Enterprise Information Security and Cybersecurity issues at different times in her career and also made her function effectively as a Global CISO. She is versatile in the design and management of security implementations, Security Standards, security risk assessment, system-related security management and reviews, information security and Cybersecurity awareness training, IT Risk, IT Governance as well as Business Continuity Planning. To her Security is not an afterthought, but must be embedded from the onset. Prior to joining Access Bank as their Global CISO, she was the Group Head, Enterprise Risk Management at the Nigerian Stock Exchange having an oversight on both the Information Security and Enterprise Risk Management Department.